The Bible is God’s perfect word written by men who were divinely inspired. It contains an accurate history of God’s interactions with mankind including man’s fall and God’s plan for salvation. The Bible, in its original manuscript, is without error and is authoritative in its teaching on all matters. There is only one true God, the creator of all things. He has revealed Himself to mankind in three ways: His creation, His Word, and His Son. God has always existed and will always exist in three equal persons: the Father, the Son, and the Holy Spirit. Having never been created, rather eternally existing, Jesus is the physical incarnation of God. He was born of a virgin and lived on earth where he served as a teacher, eventually giving his life as the only atonement for sin. It is only by His sacrifice that a person can be put in right standing with God and escape punishment for sin in Hell. The Holy Spirit is the divine spirit of God. He inspired men to write the Bible and through illumination he enables men to understand truth. He is active in convicting men of their sin and leading them to salvation in Christ Jesus. At the moment of salvation, He baptizes the believer into the body of Christ. In the daily life of believers, the Holy Spirit provides comfort and guidance. All matter in the universe and all life therein were created by God from nothing. Man is the direct result of God’s creation and has not evolved from some lower form. In the beginning, man was created in the image of God perfect and without sin. By voluntary transgression, the first man, Adam, fell from his sinless state. As a result, all of mankind, by constraint and choice, are now sinners and subject to the consequences of sin, eternal spiritual death and punishment in Hell. As an act of grace, God sent His Son, Jesus Christ, to act as an atoning sacrifice, giving his life on the cross. Three days later, Christ was raised from the dead conquering sin and death. It is only by admitting our need of forgiveness, believing that Jesus is the Son of God who died for mankind, and confessing our sins that we may be placed in right standing with God. It is no work of man, but only faith in the death and resurrection of Jesus Christ that brings salvation. While not necessary for salvation, we maintain the ordinances of baptism by immersion and the Lord’s supper out of obedience to Christ. Baptism symbolizes a believer’s commitment to the Gospel as a public profession of faith. The Lord’s supper acts as a reminder of the sacrifice Christ made on our behalf. Both ordinances are to be observed by professing believers in Jesus Christ. Have a question about what we believe at Calvary? Get in touch with a person on our lead team directly by clicking the button below. 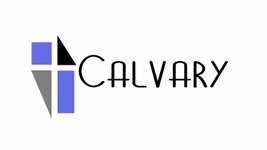 Calvary Baptist Church is a Bible-believing, Jesus-loving church in Bradenton, FL. 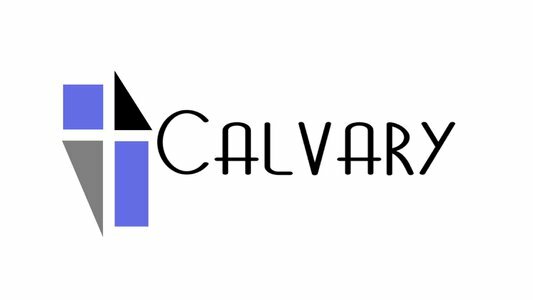 At Calvary we desire to be a church of families with a common unity built around the Gospel of Jesus Christ, and the mission of sharing this message to our community and around the world. Copyright 2019, Calvary Baptist Church. All Rights Reserved.